For not winning the popular vote, President Trump has certainly brought out the best of America. 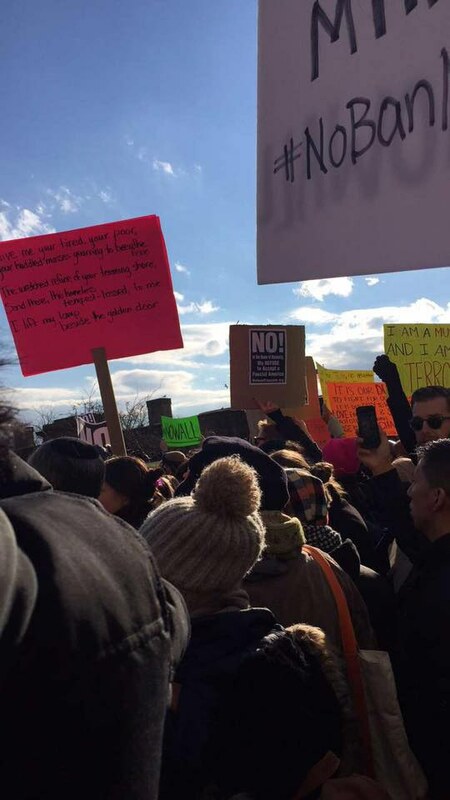 Follow up to my previous article on the John F. Kennedy International Airport (JFK) protests. 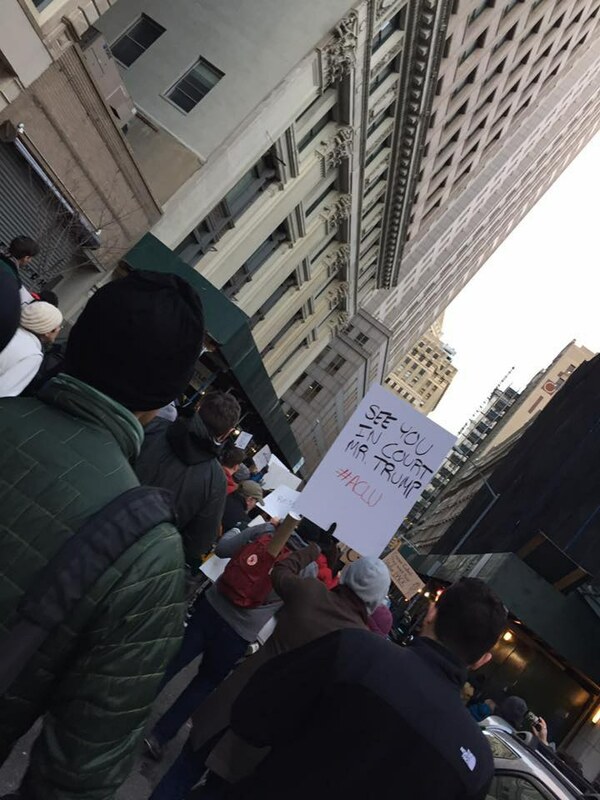 I was not able to get to JFK on Saturday for the refugee and Muslim ban protest, but I cleared my schedule to attend to the march in Battery Park on Sunday. 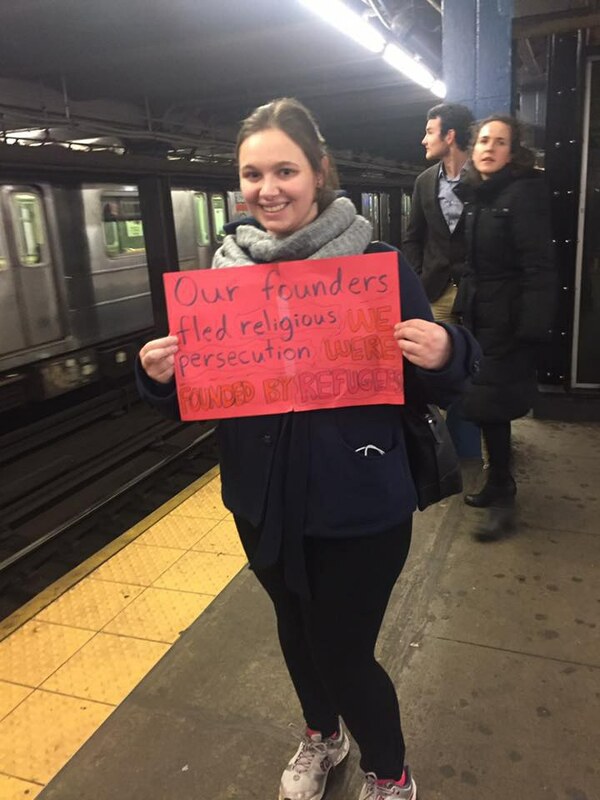 I was excited to see so many people with pro-refugee, pro-Muslim, and anti-Trump signs in addition to people on the subway platform asking how to get to Battery Park. Once I got to Battery Park, I was astonished at the number of people there. 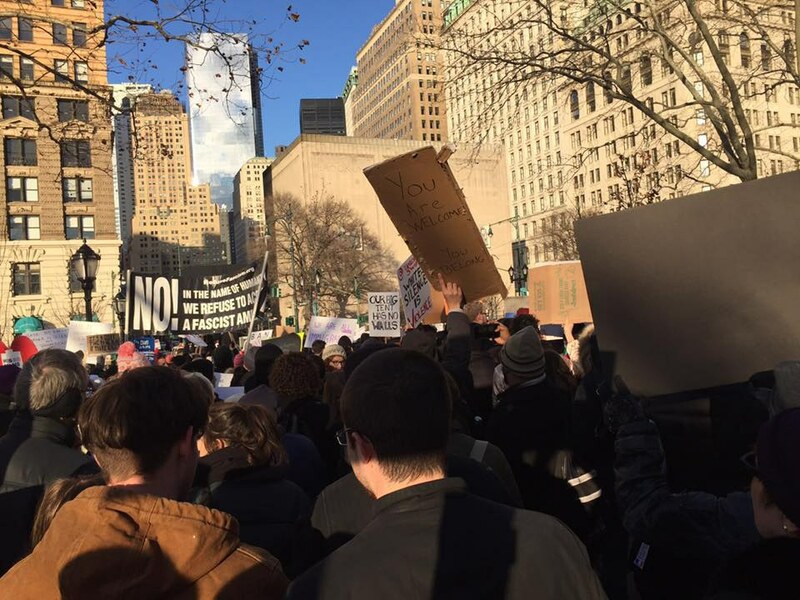 30,000 people showed up in Battery Park to peacefully protest against the administration's executive order. There were many signs referencing the Statue of Liberty and its poem, "Give me your tired, your poor, Your huddled masses yearning to breathe free, The wretched refuse of your teeming shore. Send these, the homeless, tempest-tost to me, I lift my lamp beside the golden door!" It was well fitting as the Statue of Liberty can be seen from Battery Park, and it was the welcoming beacon for immigrants coming through Ellis Island by boat. 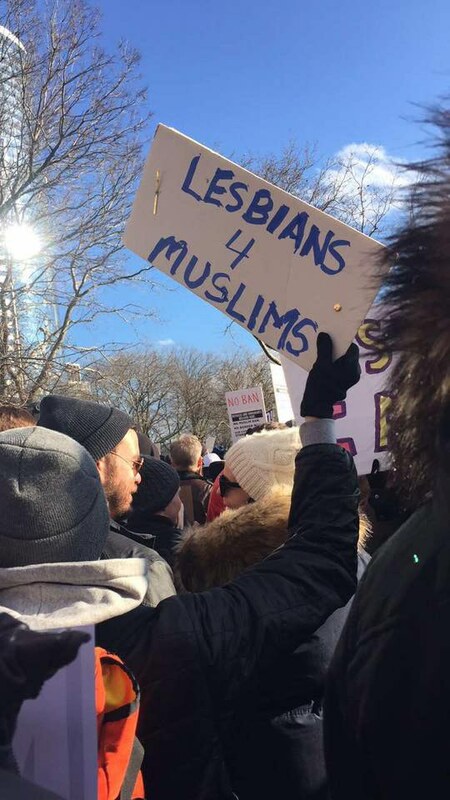 Senator Cory Booker (D-N.J.), Senator Chuck Schumer D-N.Y.), Senator Kristen Gillibrand (D-N.Y.), and New York Mayor Bill de Blasio were among the speakers at the rally, who spoke out against the ban and promised to protect their constituents. Mayor de Blasio reiterated his speech with a tweet two days later: "To my fellow New Yorkers who are Muslim," he said, "New York City will protect you. The NYPD will protect you. We will fight all hatred and bias." It was amazing to see a community brought together by hatred, to peacefully protest and stand up to fear. It gave me hope. Immigrants, refugees, and other marginalized populations showing their vulnerability from signs that said "Arrest me, I am a refugee" to speakers declaring their status as undocumented immigrants. For not winning the popular vote, President Trump has certainly brought out the best of America. 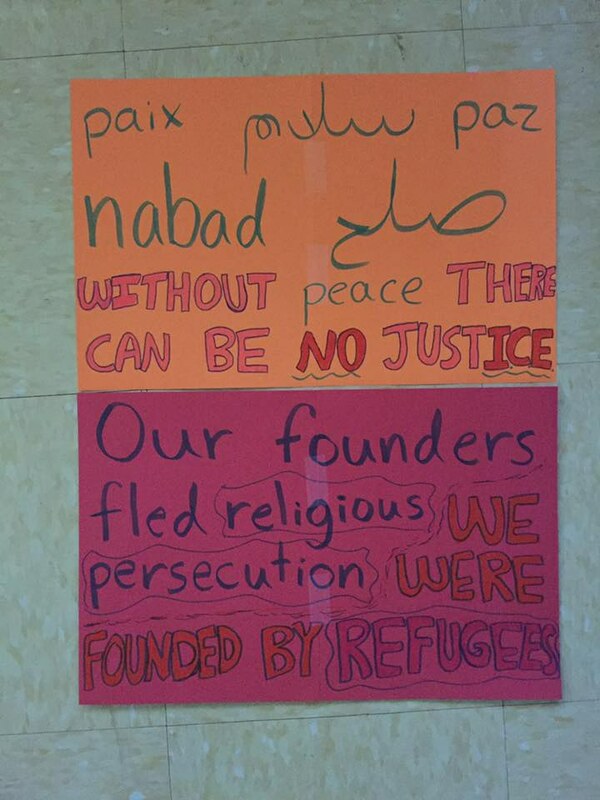 We marched and chanted to show our solidarity with Muslims, immigrants, and refugees. 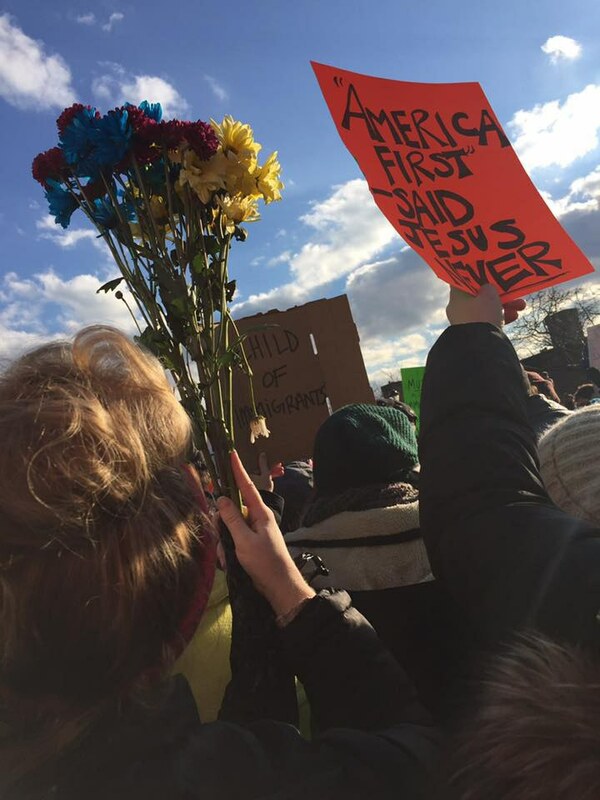 The wall, ban, Muslim registry, Steve Bannon, and President Trump were the issues and people which most signs and chants mentioned. It was a great experience, and I am actively looking for more protests to go to because I want everyone to get a chance at the American Dream. As an American, it is not in our values to turn away or discriminate on the basis of religion, national origin, race, or ethnicity. 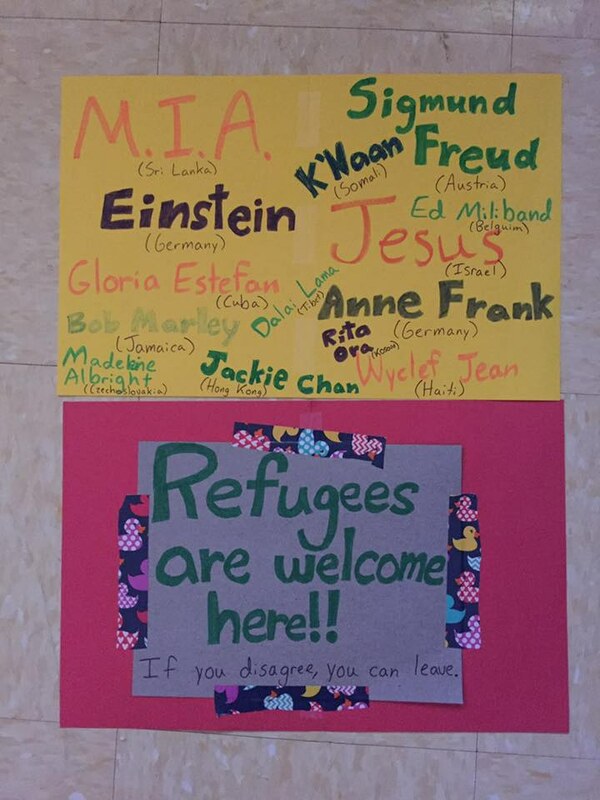 It is awful to see a President discriminating against refugees for the same reasons some of them fled their homes - fear of religious, racial, national, or ethnic persecution. This is the America I love, and this is the America I want to be part - the America where we fight for everyone to be equal and for everyone to get the chance at the American Dream.